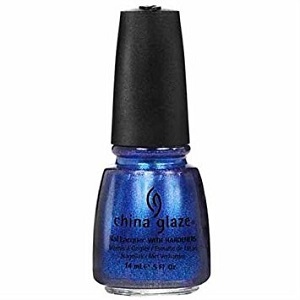 China Glaze Nail Polish, Blue Year's Eve, 1021, .50 fl. oz. Vivid blue jelly/creme nail color with light blue glass fleck shimmer.